simply captivating from start to finish. Seventy years ago, Joe Rubinstein walked out of a Nazi concentration camp. Until now, his story has been hidden from the world. 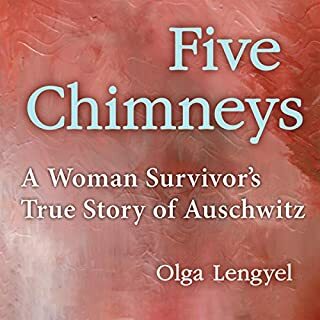 Shortly before dawn on a frigid morning in Radom, Poland, twenty-one year-old Joe answered a knock at the door of the cottage he shared with his widowed mother and siblings. German soldiers forced him onto a crowded open-air truck. Wearing only an undershirt and shorts, Joe was left on the truck with no protection from the cold. By the next morning, several around him would be dead. From there, things got worse for young Joe, much worse. 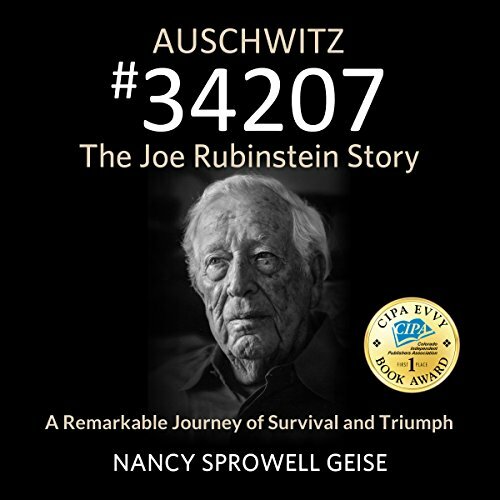 Joe arrived at Auschwitz April 30, 1942, and until now, has never revealed what he did to stay alive. 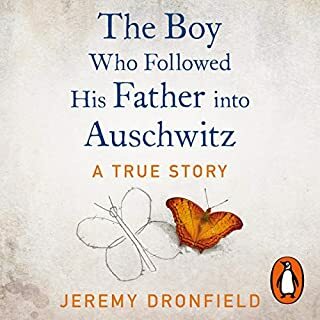 Joe's story is a remarkable account of enduring several of the most notorious Nazi concentration camp and, it is a story of love and the ultimate triumph-the triumph of the human spirit. While the Nazis took everything else, they were unable to take Joe's love of life, his affection for others, and his unassailable joy. His is a story of unconquerable courage and discovering light in the darkest of places. From the ashes of his past, Joe would find a way to rebuild his life. Barefooted when he was taken by the Nazis, he would become one of New York's' leading shoe designers - shoes sought after by First Ladies and movie stars alike. What an amazing story. So, so much heartbreak, but what an inspiring story of triumph over ultimate evil. A must read. There is no way to process what Joe Rubinstein has seen and experienced. No way to rationalize it, understand it, come to grips with it or accept it. No way to understand the torture. No way to grasp the magnitude of such evil. Our bodies simply do not have a way to process such overwhelming images of pain and death, injustice and loss. No way to process it - apart from the God whom Joe Rubinstein loves and serves. 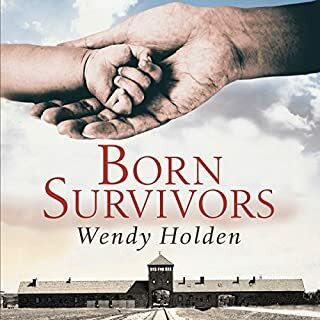 In this book, Joe tells us he always hid his story from everyone because everyone has an idea that terrible things happened in Auschwitz, "but no one knows." Yet Joe Rubinstein can now say it is a blessing to tell us about his life and what he went through. Yet he admits what he has seen is like a cancer that never leaves him. "I'm going to love my life, love my family and love God" he tells us. And he ends his book by doing exactly that - praising God. At the end of this book, I'm left shaken to the core. None of us ever want to come face to face with pure evil, yet Joe Rubinstein faces it daily, in his own mind. But he stands firmly on his faith and claims he is not defeated. His family is not defeated. Why? Because he lives on to love others. Nancy Sprowell Geise did a beautiful job of capturing Joe's story. I love the way she portrayed his innocence and complete inability to understand what was happening and why his world had changed when he was taken from his family suddenly. We have truly been given a glimpse through Joe Rubinstein's eyes, thanks to Nancy Geise, and it's a view that is impossible to forget. Richard Rieman did well to capture the confusion and innocence of Joe Rubinstein as well as a myriad of other overwhelming emotions throughout this journey. What about Richard Rieman’s performance did you like? A retrospective of the first third of his life as related by Joe Rubenstein at 94. Or, a memoir in 3 1/2 parts. But, mostly a story of love: of family long gone, of life, of God, of new family created and grown, of friends. Life started out pretty well for a middle class Jewish boy in a Polish town. It was altered when the eldest boy died of illness, and then the father of cancer when Joe was young. But he, his twin and other brothers and sister were a closely knit family who sheltered each other. Then came the invasion of Poland, and things went from difficult to worse. And then he was taken away, and the real nightmare began. Now he is the voice of the people in the boxcars. And the grave pits. And the abused. He becomes one of the slaves in striped pajamas and coarse wooden shoes. He clings to hope for his family for as long as he can, begs God many times a day, and is helped by people. Finally the war ends. But where can a man go with little education, no family, no money, but exceptional skills? In the beginning, with a never-ending list of new friends, he is in Germany. Then he meets and marries a wonderful Catholic girl. When their first child is on the way, they firmly decide that it is vital that they leave Europe as soon as may be. They do, eventually, and with hard work and special skills, things come around for them and life is good. There is then, a brief recounting of life in America and citizenship. 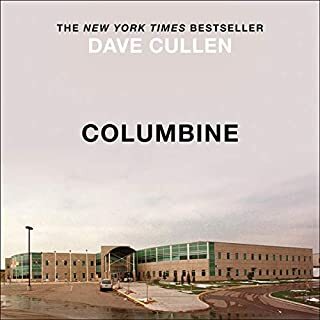 Richard Reiman has the voice and cadencing to enhance it all, and each chapter is introduced with a sentence spoken by Joe, himself, to remind us that this is no work of fiction. 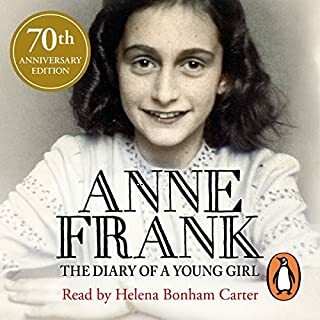 Not as long as Night, Anne Frank, Schindler's list, or The Book Thief, but also very moving. 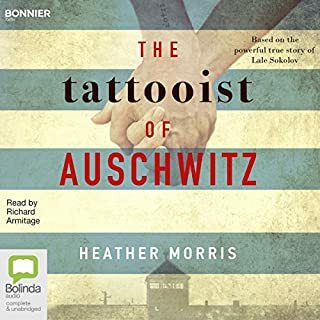 Would you listen to Auschwitz #34207 again? Why? I very rarely listen to a book a second time. This was a very good book, however. Joe's story seems incredible but still very believable. 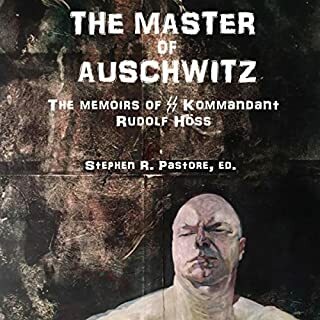 He delivers an authentic account of unspeakable atrocities that he witnessed. It is hard to fathom how the death camps operated for as long as they did. 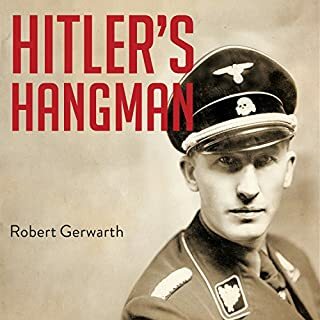 History provided by people like this author are very important reminders that we must be vigilant to recognize evil and cut it off before it can grow to such extremes. What was one of the most memorable moments of Auschwitz #34207? Many memorable moments are in this book. The various types of mistreatment that people are capable of inflicting upon others, may stick with me forever. Not a particular scene, but watching Joe's life flourish after the war, both personally and in business was certainly gratifying. The unbelievable capacity of man. I received this book free of charge in exchange for an unbiased and truthful review. What occurred during the Holocaust should never be forgotten. Mr. Rubinstein's survival is unfathomable in the light of his suffering. For me it is a warning of the consequences of hatred and apathy. Thank you for your courage in documenting for us, to remember what happens when we look away. It is really painful to hear what happened in the war. This should help us to never let this happen again and that ALL life is precious. It was inspirational to know that Joe made it through this very dark time to a very prosperous and long life in the United States. 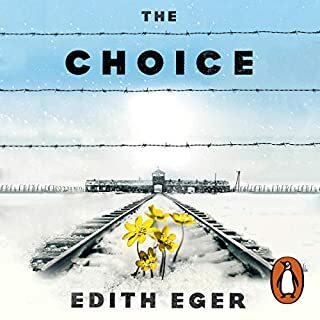 I'm not sure I could listen to the accounts of Auschwitz again, they were graphic and made me sad that this could have happened. 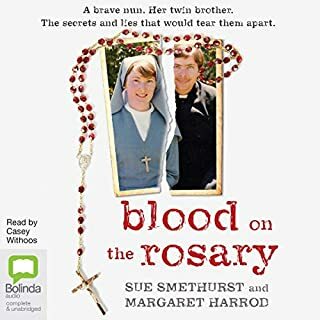 There were a few poignant stories - perhaps the most memorable is the fact that Joe's love for his family was the driving force to keep himself alive, that and prayer. For the most part, it made me cry. Powerful, moving, and a punch to the gut! The Joe Rubinstein story is one depicting incredible resiliency, courage, faith, and some divine luck. Against All Odds, Joe was able to survive his encampment at Auschwitz and go on to America to live and love and raise a family. 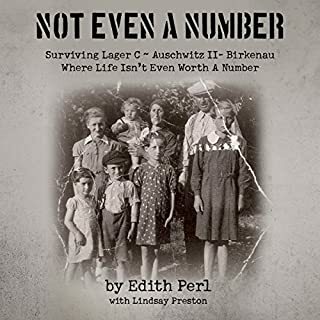 Once he was freed from a Nazi prison camp, he never lived in fear of anything again. Remarkably, Joe chose to live his free years as a happy man, a grateful man, and in my opinion a great man. Once you start listening to his story you can not stop until it's finished. I am so sorry that Joe and the many millions of other people of Jewish faith had to endure even five minutes of those camps. 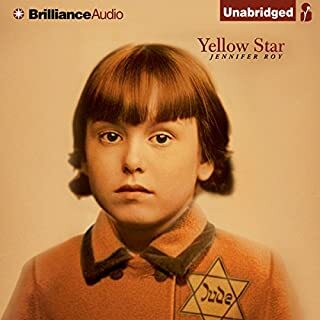 This story had to be told and Joe's story represents the stories of millions of Jewish people that were wrongfully thrown into prison camps by the Nazis and suffered or died at the hands of these monsters. 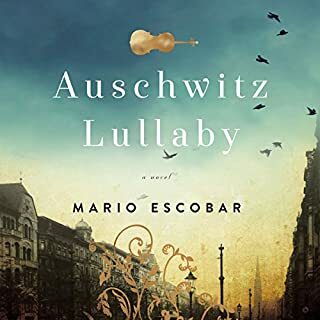 The book is well written and shares the horrors that Mr Rubinstein endured at the hands of the nazis.The chance meetings and decisions on his part had such an influence on his survival.The most touching part to me is his continuous faith in his God and the ability to keep fighting for his survival.He's a true inspiration.I highly recommend this book to anyone interested in the history of the holocaust and the suffering inflicted on the Jews.I liked that Joe Rubinstein narrated parts of his story as well as the narrarator. 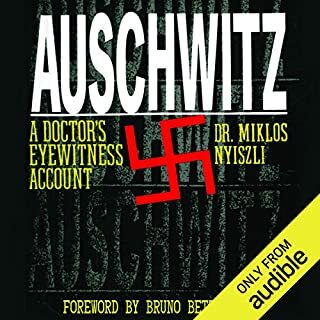 I received a copy of this audiobook from the author in exchange for an honest review. 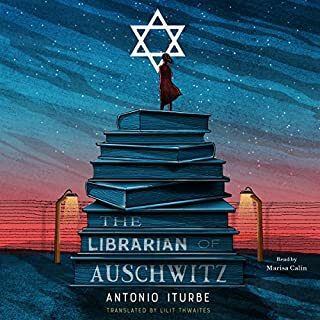 I think this is one of the best books I have ever read/listened to about the Holocaust. 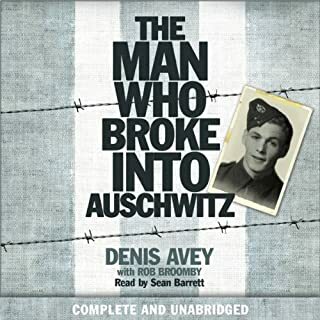 It was very graphic and detailed and heart-wrenching to listen to, but it is our history and I am very glad that he survived and was able to share his story for the world. 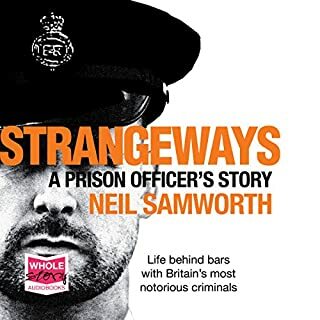 Definitely would recommend this book. May God bless Mr. Rubinstein and his family.